The Museum’s educational programs provide inspiring opportunities for adults, children, and families to learn about and make art, and become part of the East End’s artistic legacy. We offer classes, workshops, tours, and camps; fun and engaging learning resources for families to use in the galleries; and complimentary audio guides. Each year, we work with thousands of children through community partnerships and collaborations. Drop in for an open studio, enroll in a class, explore the galleries with a docent, and get inspired. 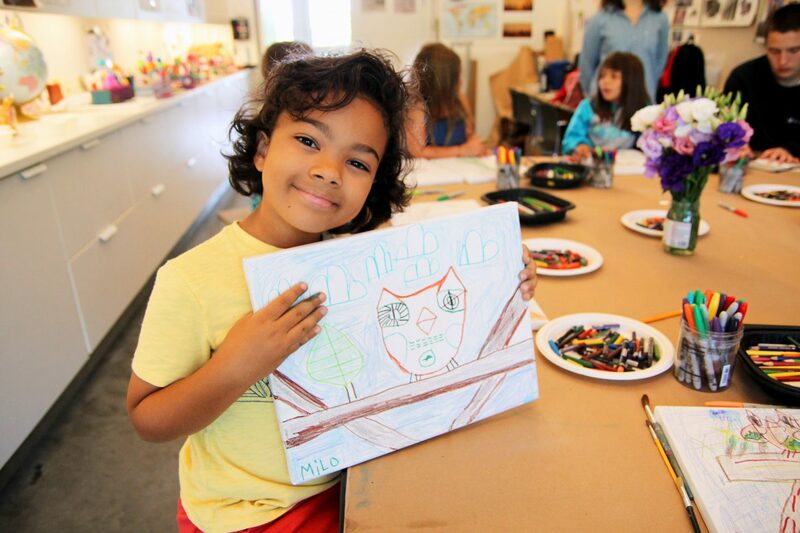 Celebrate spring break at the Museum with creative workshops and visual arts. Workshop topics are inspired by the museum’s current exhibitions and will explore different media and techniques each day. Your help makes all our education offerings possible: become a member, make a donation, or register for a class today.